Excellent story teller and really like Audiobooks.com! So glad the boys finally make it home in one piece! 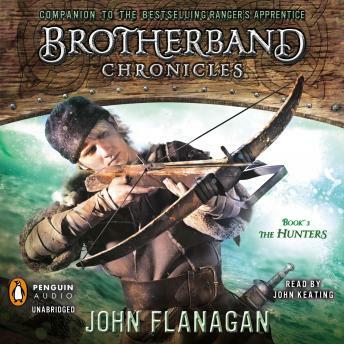 I loved the Rangers apprentice books and the brotherband chronicles are just as good. they deal with so many of life's little problems just in a round about way. but it's so much more fun to read someone's creative story of how it happened and how it worked out. can't wait for more!